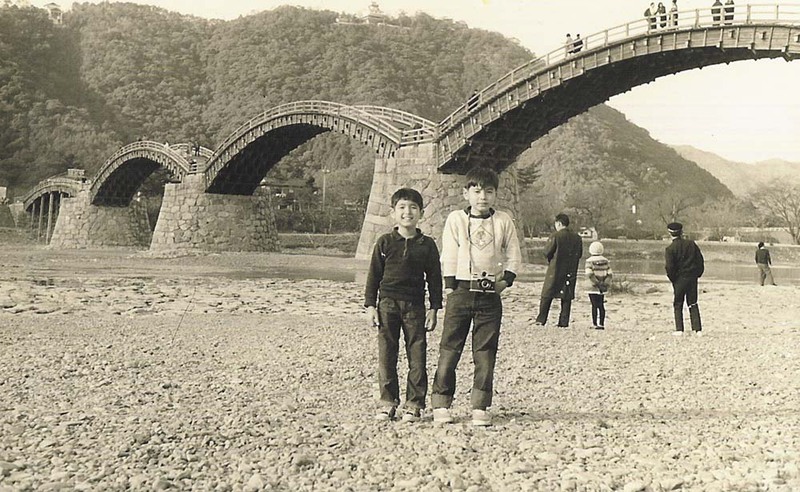 My brother Gary (on the right) and me at Kintai Bridge in Iwakuni, Japan circa 1965. Note that my brother is wearing a Cub Scout (or Webelos) shirt — we were both Cub Scouts and Boy Scouts starting in Japan, and I was even an Explorer Scout! How American can we get! The article raises the oft-aired complaint by Asian Americans that asking “Where are you from?” (sometimes linked to the even more irritating “You speak English so well…”) is a social, racial no-no. I certainly can’t argue with that. I’ve written plenty about this very topic. 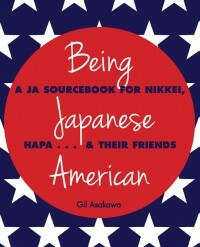 I once criticized Martha Stewart for pulling the “Where are you from?” card, and in the post also included the conversation from my book, “Being Japanese American” that so many Asian American are all too familiar with, which starts with “You speak English so well” and veers off into “where are you from?” territory. PSY, the Korean pop sensation whose viral hit video, “Gangnam Style,” has been viewed alomst 800 million times on YouTube (that’s the official video, never mind the countless other users’ uploads and all the spoofs and tributes), closed out the American Music Awards on Nov. 18. In a savvy, surprising and ultimately, ironic, collaboration, the 35-year-old PSY (real name: Park Jae-sang) was joined for a mashup of his hit with MC Hammer’s “2 Legit 2 Quit” (above) and brought the house down, with celebs and fans (Hammer too) mimicking his horsey-cowboy dance moves. The fact that the tweeters didn’t catch the awesomeness of the irony and only expressed their xenophobia and ignorance was disappointing but not surprising. Some of the tweets, though, were flatout racist, like “Why is chink PSY at the American music awards he doesn’t make American music what is going on” and “are you kidding this chink is on the AMA’s? #sad #keywordAMERICAN.” You can see a sampling of offensive tweets at the Public Shaming Tumblr blog. 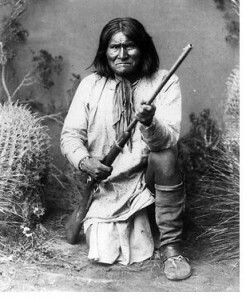 The message to everyone waiting with bated breath in the White House situation room was terse and to the point: “Geronimo-E KIA”: “Geronimo,” the Enemy, Killed in Action. Really? Osama bin Laden was codenamed “Geronimo?” Even if, as the White House later clarified, that “Geronimo” was the codename for the mission, not the target, the choice is ripe with symbolism that reeks of mid-18th century American imperialism and European American racial privilege. I know I’m going to hear from the folks who screech at the thought of political correctness overtaking American culture and spoiling pop references that used to be commonly used but now can be offensive. I’m going to hear from people who thought I didn’t have a sense of humor when I got angry that Shaquille O’Neal, or Adam Carolla, or Rosie O’Donnell, or Rush Limbaugh pull out the “ching-chong” routine to mock Asians. I’m going to hear from people who think I’m over-sensitive about “yellowface” in Hollywood (the long and still-going history of white actors playing Asian parts) and the use of Asian stereotypes. I’m going to hear from people who defend racially offensive statements or behavior as OK because it wasn’t “meant” to offend — therefore leading to the non-apology apology that blames those who are offended for taking it wrong. The fact is, if something is offensive to someone, it’s offensive. Period. It’s not about the motivation, or the intent. It’s about the impact. And the impact of the U.S. military’s use of “Geronimo” — either as the codename for Osama bib Laden, or the codename of the mission that took bin Laden out — is definitely negative in the Native American community. Erica Johnson is a woman on a mission. 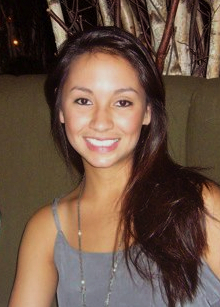 Earlier this year, she launched a blog called Hapa Voice where she posts submissions from hapas — mixed-race Asians — with photos and short autobiographies that explain a little about themselves. The titles of each post are a simple rundown of the submitter’s ethnic mix. This elegant, straightforward approach to stating one’s own identity is both powerful and moving, especially for hapas because their identities have been a central focus all their lives, even more so than other people of color. Being mixed adds a layer of richness for themselves, and too often a lare of confusion for others. So it’s really cool to read entry after entry on “Hapa Voices” and see so many people who are finding their voice… and their identity. Johnson has been inspired by the work of hapa writer, filmmaker, artist, activist, standup comic and lifeguard (really) Kip Fulbeck. I’ve written before about Japanese anime, or animation, as well as the genre’s characters and their large eyes, and wondered if they symbolize a desire to look more Caucasian. But this brief guest post by Julian Abagond on the blog Sociological Images titled Why Do the Japanese Draw Themselves As White? that offers very interesting food for thought. Abagond makes the case that Americans (white people) think Japanese draw anime and manga characters to look Caucasian, but that’s a Western construct, and that “Americans” (he conflates nationality with ethnicity, a common slip in race/culture conversations, even by well-intentioned people and often by Asians) see everything in terms of white unless there are stereotypical symbols that identify a character as another ethnicity.